Above is a Sta Rite System 3 Cartridge Filter-NOT to be confused with the System 3 Cartridge DE filter. The difference is the cartridge itself-the D.E. cartridge has less pleats and a more porous covering material that holds the D.E. powder filtering media,while the cartridge above has a denser material that IS the filtering media. The above filter comes in up to 500 square feet filter area-you could go a whole season without ever cleaning! 2)Cartridge filters have much more surface area than D.E. or sand filters so they need to be cleaned less often. In fact,for many people,a cartridge filter system would probably be the better choice over D.E. During the day,its hard to see the difference in water clarity between a cartridge and D.E. 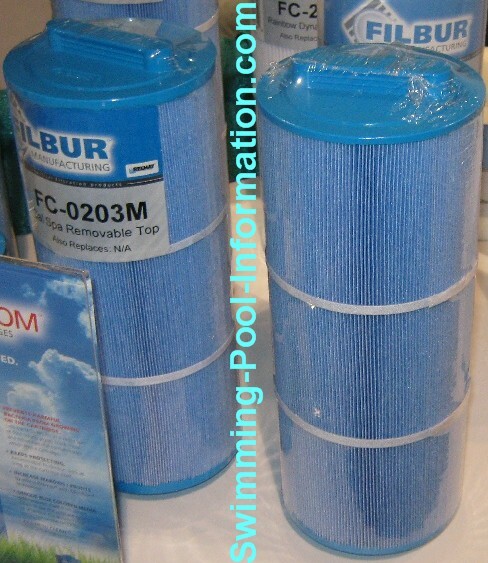 filter system,but at night with the pool light on,you may see more suspended particles with a cartridge system. 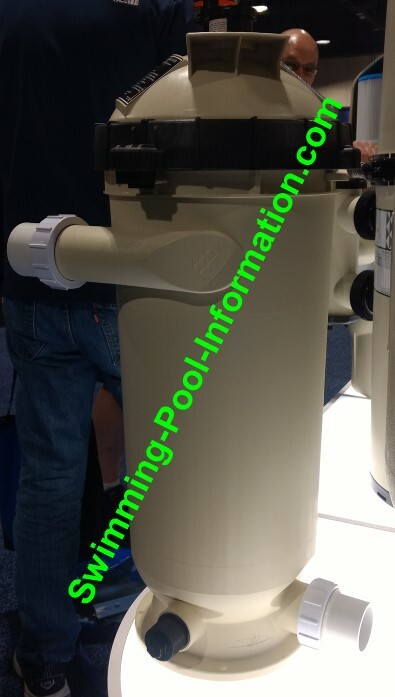 This can be reduced by a adding a water clarifier(polymer that gathers smaller particles together into a bigger particle than is easily filtered out)to the water and/or running pool pump at low speed. 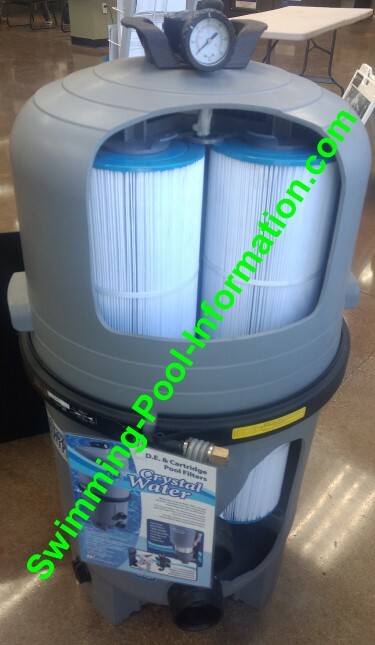 Above is the Waterway Crystal cartridge filter in 325 to 525 square foot sizes - this filter has huge 2.5 " plumbing for great flow,a thick tank with 3 year warranty with built in handles at a very attractive price - one of the best deals out there on cartridge filters. 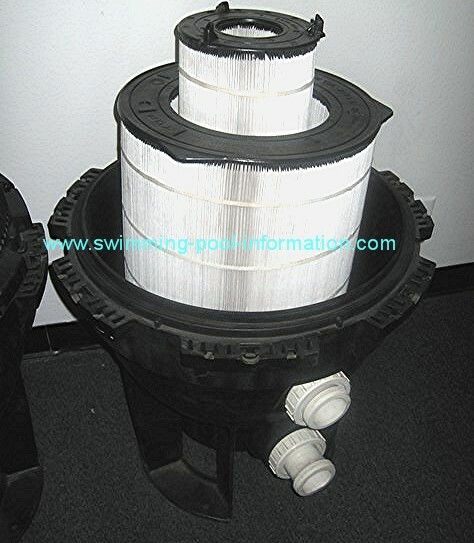 The filter above is the Pentair Clean and Clear RP. It has been redesigned with high flow plumbing thats puts very little pressure on pump flow and the filter fits into tight spaces. I like it for small pools and spas. Below is a cartridge made by Filbur Manufacturing which is made with Microban anti-bacterial protection which helps protect against molds,yeasts,fungi and bacteria that can cause odors especially in spas.